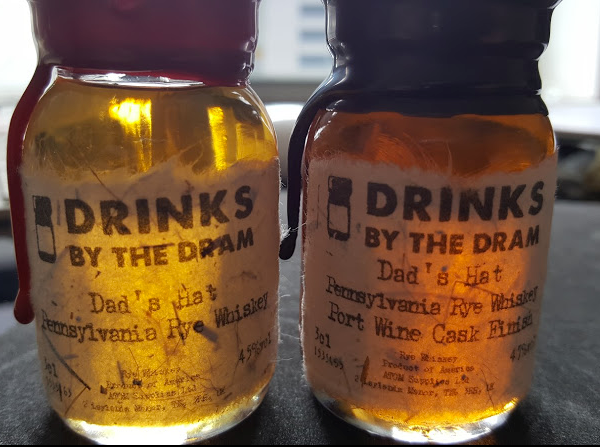 Dad's Hat Rye distiller available for questions, comments, feedback, etc. Thank you for dropping back in with an update! Interesting news on your bringing back this old rye. A quick Google search indicated that it had some yield advantages over other ryes used back in the early 20th Cen.? More grains per stalk? Can you share what characteristics will you be looking for from it during your processes? Particularly from a flavor profile? Confirming your info on non-domestic sourcing of rye grains, I have heard the same from at least one major distillery. While touring Wild Turkey last Spring, Eddie Russell commented that they procure their rye from Germany, and may be looking to Poland in the future. The reason given was to source a supply of non-GMO rye grain. Again, thanks for your participation here on SB. We truly value your expertise, information, and experiences! Interesting response from Wild Turkey, since there is no such thing as a GMO rye. For the Rosen Rye, we will be looking for yield, of course, but we also want to test the aroma and flavor we get in the mash and eventually in the final juice. We have already begun to get a sense for which farms are giving us the best rye based on how the rye smells when we get it (nutty is good, horse barn is bad): and how it smells and tastes in the mash, and what we get in the final juice off the still. Lot's of fun experimenting ahead. I've heard other major distilleries mention getting rye from Europe for the non-GMO reason. (I want to say BT and 4R, but I'm going off memory so take that with a grain of salt.) Interesting that you say there is no such thing as GMO rye. I wonder if it simply has to do with appearances since Europe has an official policy against it whereas the U.S. doesn't which could lead to questions. Easier to squelch the questions if it's a no doubter. I don't know why they are using the GMO angle. I think they sourced European rye at some point because so few farmers in the US were focused on growing high quality rye grain for consumption. When you take the time to work with the farms, they are very capable of growing high quality rye grain. And given a choice we prefer to buy from American farmers. There really should not be any doubt about rye since you could not buy GMO rye if you wanted to. I had the same thought, Steve. Reminds me of a shopper asking a grocery clerk if they had any "certified gluten free sugar". After all, you can never be too careful. Good luck on this new endeavor. It sounds like seeds are in the ground? If so, is there enough of a planting that with reasonable yields you can target a date for your first trial distillations? It will take some time to get enough rye to do a real distillation, but we should have enough to make a bench top mash early next year. We do have seeds in the ground at the University. The germination rate is very good, so we have to see how it goes. I have a hunch on what a "bench top mash" might be, but I'm not sure. Can you explain what that is? And if you don't mind, can you walk us through the process? Bench top is just going to be a small batch made in a small (a few gallons) pot to see how it performs at the fermentation step. Just like making a home brew beer, mill the grain with our malt - add to hot water to convert the grain, chill, and then pitch the yeast. Then after a 5 days or so, we will check the alcohol conversion and the aroma/taste profile compared to what we do today at full scale. Thanks. That sounds kinda like what I thought. Good luck with it , and please keep us posted on your progress. The first series of Michter's crock decanters specifically mention that the rye is Rosen rye from Michigan that gives a hearty dry flavor. I agree, Gary. I'm subscribed to this thread! We are still working on our project to bring back an important Heirloom Rye, called Rosen Rye. Here is a photo of our Rosen Rye waking up for the spring at DelVal University. 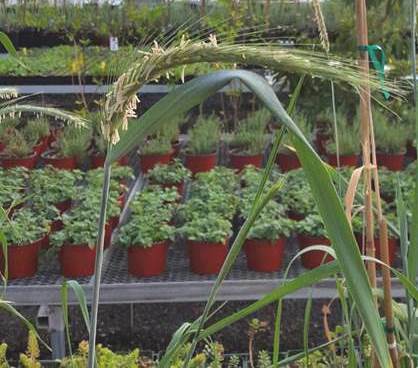 The potential for producing seeds for planting more later this year looks good. That's great! I can't wait to try it against your current lineup to see what new flavors the Rosen Rye imparts. Speaking of- when does the straight rye hit the shelves? We are still waiting on the Straight. 3+ years so far. It may be ready this summer. We like it a lot, but we are aiming very high. I wouldn't expect anything less! Needless to say, I'll be a frequent consumer. Back on the subject of the Rosen Rye- how do you expect it to deviate from your current bottlings? I know Michter's made it clear they used Rosen Rye, and their products always had a very good, distinct flavor. We don't yet know how the Rosen Rye will affect our products. We will just have to wait to see how it tastes - first at the fermentation stage, then after distillation, etc. Just joined your email list so I don't miss the announcement on the straight. In the meantime -- It is still a pleasant surprise to me how well your current, albeit younger, 90 proof rye holds up in a Manhattan. At least as of lunch today. And, so it begins! Thanks for the update. They say you should talk to your plants. Even sing to them, as they like that, and it supposedly helps them grow bigger and healthier...Hey , whatever works, right ? Congrats on a successful Step 1. Please keep the news coming. Been reading and enjoying this thread so colour me intrigued! Ordered a couple of samples and I can't wait to try them. I learned something from Twitter a few weeks ago, that being that Dad's Hat is a sweet mash whiskey. So now I can say I have one in my collection of whiskeys! A short news update from Dad's Hat. We finally got approval to move our barrels to our new barrel-house. This will make room for the three new 6000 liter fermenters we ordered so by the fall we can increase production by 250%. More paperwork for the TTB for the expansion, but we seem to be getting the hang of this. That's great news. Is your additional barrel space in the same complex you're currently in? What's the latest on the straight rye? I'm still nursing my PLCB special bottle!